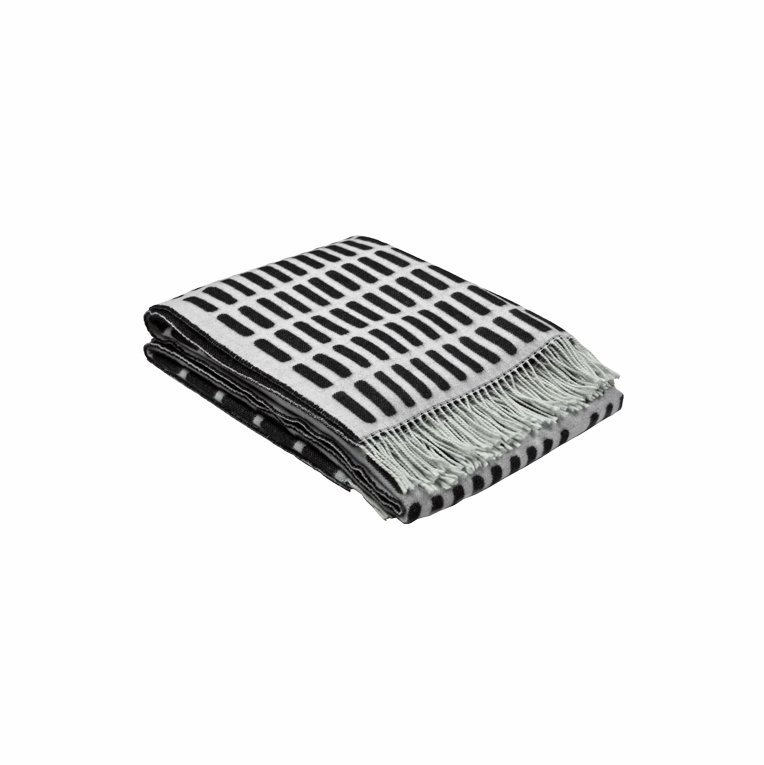 Warm and snuggly, the Artek Siena Wool Blanket is patterned with Alvar Aalto's iconic Siena print. Made from 100% wool, the soft grey background is covered in repeating blocks which create a grid-like pattern. Striking yet not overly-designed, this structural print is meant to adorn a variety of items from mattress covers to wood trays. The Siena Wool Blanket will keep you warm on winter nights and add a hint of Finnish design to your home all year round.